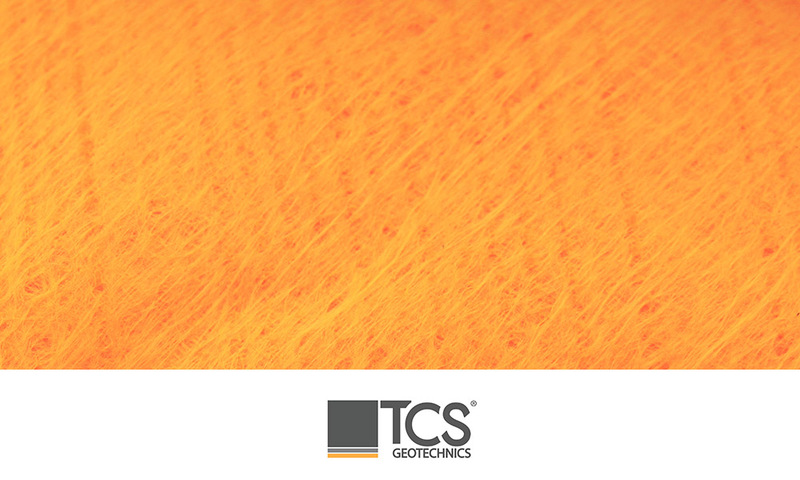 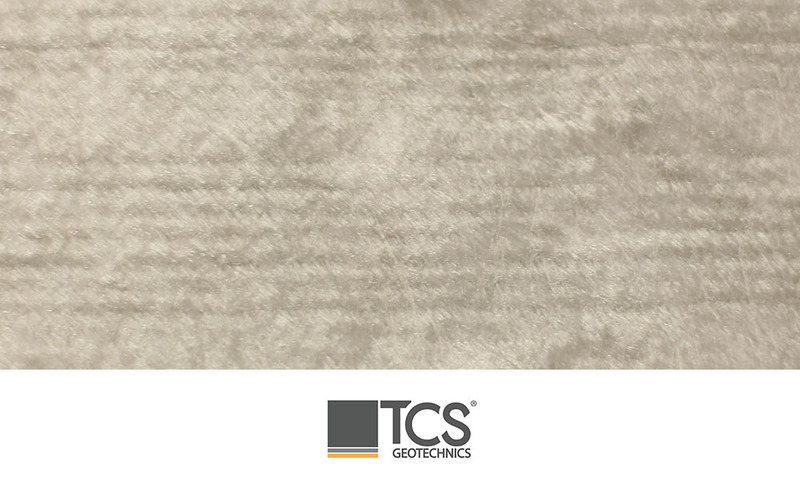 The wide range of non woven geotextiles offered by TCS Geotechnics provide separation, filtration and protection functions. 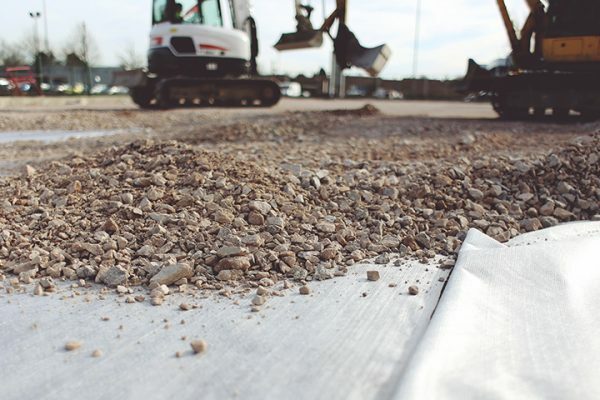 Dependent on the application requirements a suitable needle punched (mechanically bonded) and/or thermally treated geotextile can be found to ensure optimum performance. 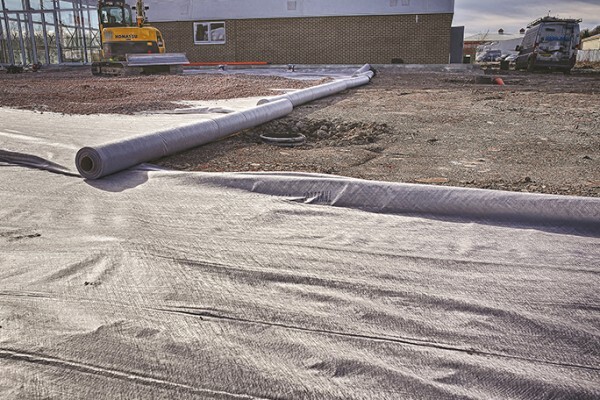 Manufactured to the highest quality, these non woven geotextiles attain excellent standards of mechanical performance and durability. 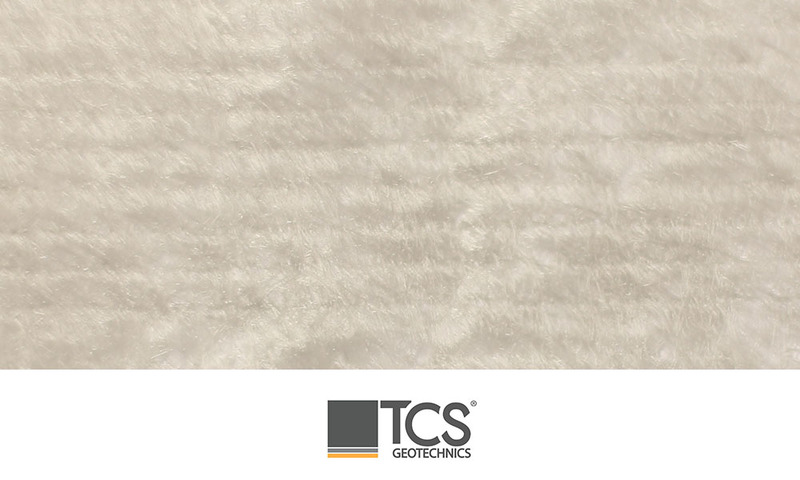 The TCS Geotechnics Non Woven Geotextile range (TNW1000T to TNW3000F) are high quality polypropylene mechanically bonded (‘needle punched’) geotextiles. 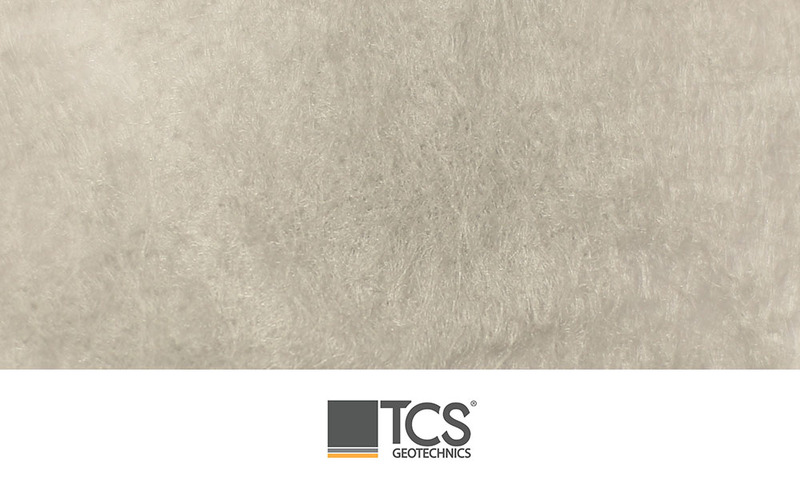 These mechanically bonded materials are particularly robust with respect to potential installation damage as the combination of tensile strength and extensibility allows the material to flex and accommodate stress and strain whilst inhibiting puncture. 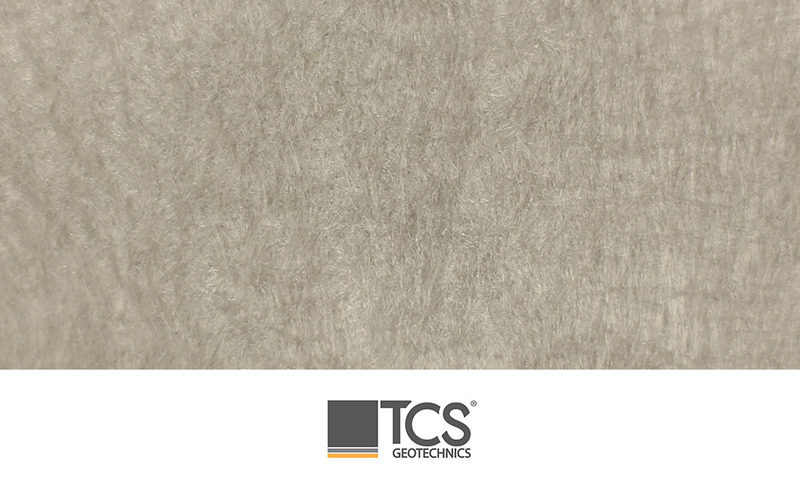 These materials have CBR puncture resistance ranging from approximately 1400N to 3600N. 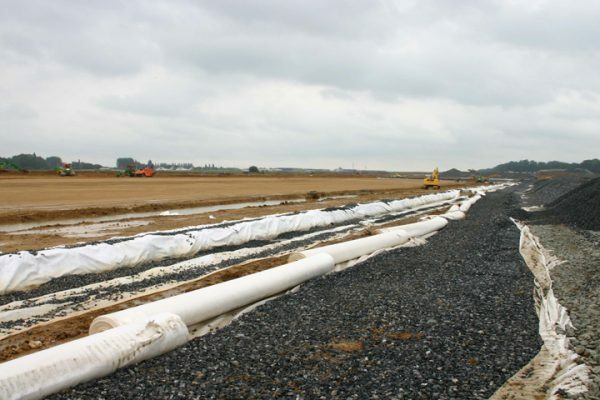 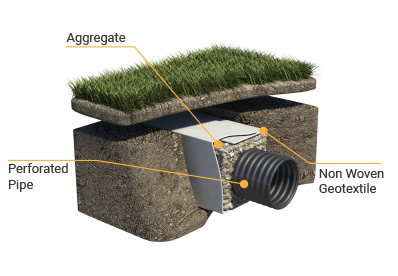 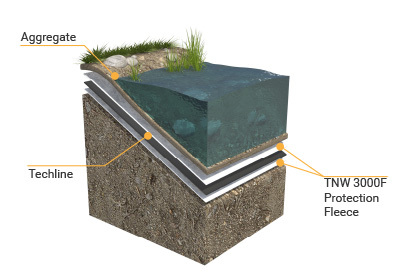 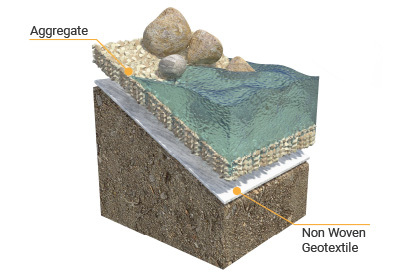 The main function of this geotextile range is to offer separation and filtration, for example beneath road sub-base or encapsulating drainage blankets or trench infill. 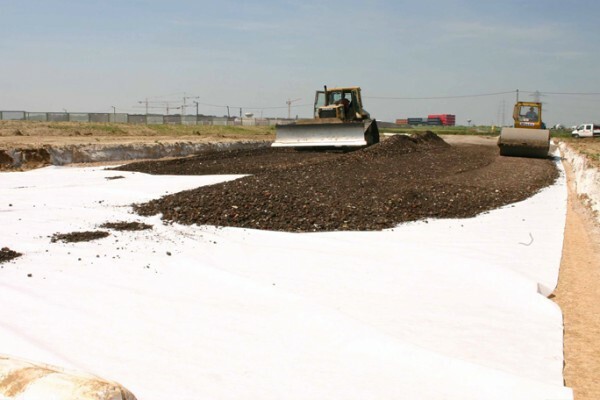 The 3000F is also regularly used for light duty protection, for example in SUDS systems. 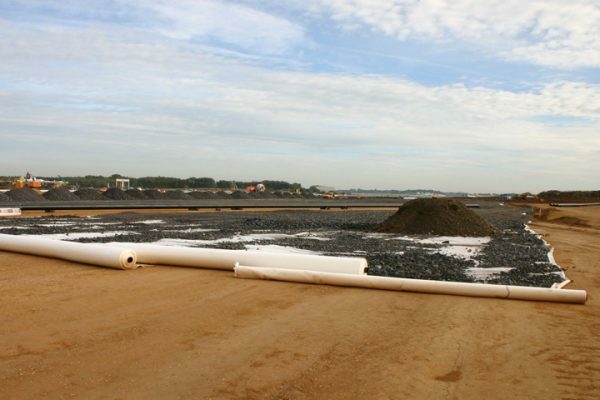 TCS also offer heavier duty mechanically bonded (needle punched) geotextiles with CBR puncture values up to 14000N, providing efficient protection and filtration in even the most demanding situations, for example protecting landfill lining or as part of coastal defence works.